So what are the Mosaic Glass Gel Polishes? The collection consists of two sets of crystal clear gel polishes. In other words, perfect jellies. Yeah, I know...I'm not a fan of jellies. But these are different. They open up a world of layering and art possibilities. Think about the sheer tints rnp from OPI. Yeah, these are similar to those but in gel polish! I received both sets to play with, and boy did I play! But first, lets take a look at the colors. Set 1 consists of Smoke + Mirrors (sheer black), Sea You Clearly (sheer blue) and Locked in Secrets (sheer purple). Set 2 consists of Sunny Disposition (sheer yellow), Apricot Beauty (sheer orange) and Peony Blush (sheer Pink). I have shown them below as two coats over both white and black backgrounds. Excuse the clarity of the set over the black background - it is a little blurred due to the required shutter speed. I also did full swatches to show you how they build in three coats. But let's save that for last, shall we? First, let's take a look at some of the nail art pieces I put together using the Mosaic Glass gel polishes. The first look was a no brainer. I've wanted to do a sheer black look for a while but never got around to it. I don't know...mixing black with clear to make the perfect sheer can get messy so I put it off. Smoke + Mirrors takes away the guess work, so here we go! I started with a black gel polish tip and freehanded a few dots and roses. Then I topped it with two thin coats of Smoke + Mirrors. Sheer black couldn't be easier! For this next look, I used the three shades in Set 2 of the Mosaic Glass gel polish set. I started with a shimmery white gel polish base. I then added random blobs of Apricot Beauty, Peony Blush and Sunny Disposition over the base and marbled them together with a dotting tool. After curing, it looked like this. I'm kind of in love with that base! But I decided it needed something more. I've actually been avoiding this image for a while now...the butterfly wing thing has been done so many times by so many people...but I couldn't imagine a better image for this shimmery marbled base. So it just had to happen. I stamped over the base in black with the butterfly wing image from BM424 from the 2013 Create Your Own stamping collection. Here's the final result. Yep, I love it. I hated to take it off! I think I might have to recreate this one at some point. Now that you've seen my creative side go wild, how about those pure swatches I promised? As I mentioned above, I wanted to see how well these sheer glass gel polishes build. So I swatched three coats of each to show you. First up is Smoke + Mirrors. This one is definitely the most opaque of the six after three coats. Locked in Secrets also builds to a nice, but sheer jelly. Finally, Apricot Beauty offers a little more coverage in three coats than Peony Blush and Sunny Disposition, but is still very jelly. There you have it - the Bundle Monster Mosaic Glass gel polish collection - sets 1 and 2. What do you think? I'm not a fan of them on their own, but they are amazing for art. Seriously, the possibilities are endless! Layer them, mix them, use them for leadlighting...whatever your heart desires! 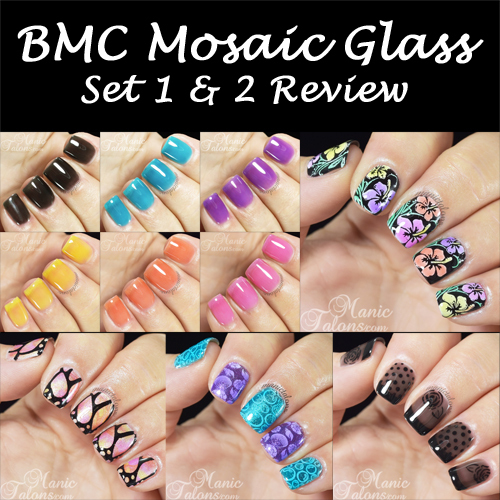 *The Mosaic Glass Gel Polishes featured in this post were provided by Bundle Monster for my honest review. 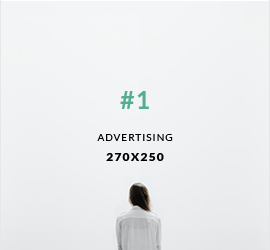 This post includes Amazon Affiliate links. Purchases through those links generate commissions that help fund this site. All other links are courtesy links and do not benefit ManicTalons.com. Beautiful designs!!!! I also did a review of these polishes on Youtube and I absolutely love them!! Wow, loving all of your designs!! Loving what you came up with!